When you first create a new page in Urban Planet, the page is turned off. This means neither you nor the general public can see the page. It can be helpful to turn the page on but to hide it from public view while you edit is. This will allow you to see how your content changes look. Once the page is on, but hidden, you can use the "view site" picture to see your changes. Step 1: Toggle the page on by selecting the red button and turning to green. 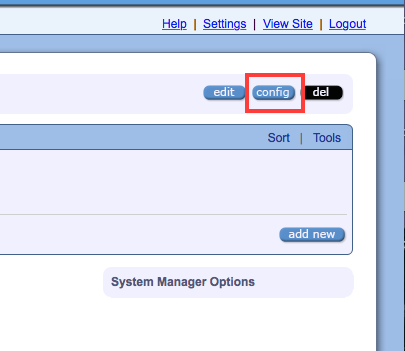 Step 2: In the top right side of the editing window, select "config" to access the configuration settings. 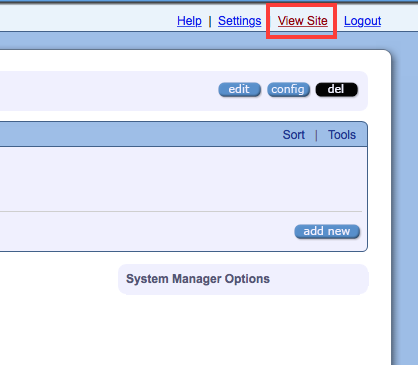 Step 3: Click on "access settings" from the left configuration menu. Step 4: Change "hide section" from false to true. Click apply. Step 5: From the editing window, right click "view site." 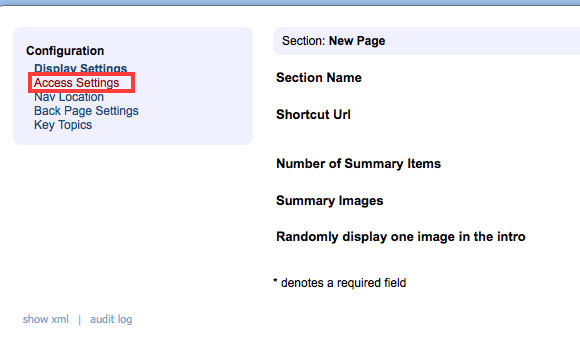 Step 6: Select "open in a new tab." You can also hold the command key down while clicking the "view site" link if you're using a Mac. You can now switch between a live, but hidden, view of your site and the editing screen. As you make edits, you'll need to refresh the live site to see your latest changes. Remember to always click the green "save" button as you make edits. On a Mac, you can right-click by holding down the "control" key while clicking on your trackpad or mouse. You can also click with two fingers on your multi-touch enabled MacBook touchpad. Why do I need to right click? 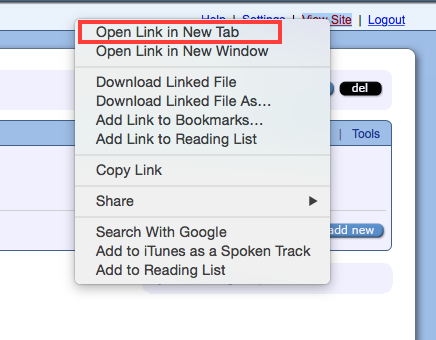 When using Google Chrome, you can right click to get the URL of a link (for example, a document you've uploaded to Urban Planet) without opening the link. Quick Tip: Save, Save, Save! When ever you make a change in Urban Planet, you'll need to save your work. Urban Planet does not support autosaving. Look in the lower right or top right of each screen and find the green button. It may say "apply," or "save." To make sure your changes are reflected on your website, always click "apply," then click "save." When you're editing a sidebar, document or image, you must click the green button at least twice for your work to save.